Broken or missing teeth can be extremely detrimental to your quality of life, especially when it comes to social anxiety and confidence. However, the professional staff of Ivy League certified cosmetic dentists in our Rockefeller clinic offer a variety of cosmetic dentistry solutions to get you back to smiling — all in one day. One of the most common and practical methods for fixing a cracked, broken, or missing tooth is through the application of a dental crown. This “cap,” shaped and custom-made to fit over your tooth, restores its appearance while simultaneously providing support and strengthening its structural integrity. Crowns fully cover and encase the visible portion of your teeth, from gum line to cusps, providing a level of support to your teeth, your smile, and ultimately your self-confidence unparallelled in the dentistry world. Although oftentimes the case is general tooth decay, there’s a variety of reasons your teeth might weaken, crack, or break. 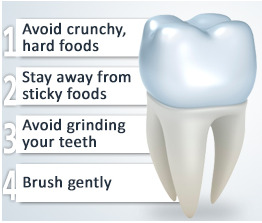 Old fillings deteriorating over time, grinding your teeth at night, over- and under-bites causing uneven stress on teeth, and aging all contribute to the slow weakening of your teeth. Sometimes, dental trauma (like falling or being hit) will instantly cause a crack or break — consult one of our emergency dentists immediately if this happens to you. Depending on the severity of the crack or break, conditions on the surface of your existing tooth and its surrounding teeth, and previous dental applications, one of our staff may prescribe the use of crowns to restore your smile. In the event that an old filling has decayed and fallen out and the resulting cavity is too large to simply replace the filling — and the root is still healthy and intact — your dentist will likely recommend a crown to cover these damages. 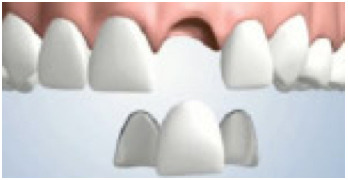 If the surrounding teeth are intact and stable, crowns can even be used to replace an entire missing tooth by creating a dental bridge. Basically, this entails a crown being suspended and secured between two other crowns affixed to the top of your healthy teeth. However, a dental implant may be recommended as bridges often requires grinding down the healthy, adjacent teeth in order to properly secure the bridge. 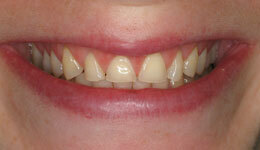 A dental bridge supported by crowns. To correct discoloration and misshapen teeth. 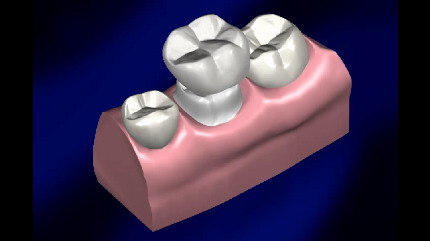 What is the process for Inserting a Crown? Getting your crown placed will typically involve two appointments at our dental office in Midtown. During your first visit, the dentist will perform a full mouth series of X-rays (FMX) to determine the state of your gums, root stability (and potential need for a root canal to install the crown properly), and to look for any hidden cracks or breaks in your teeth. 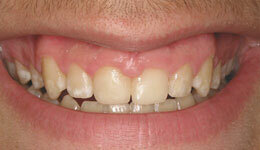 A local anesthetic is then applied to the gums and tooth in order to file the tooth down to fit the crown. The amount of filing directly depends on the material of your crown as some materials require more or less surface area to attach. 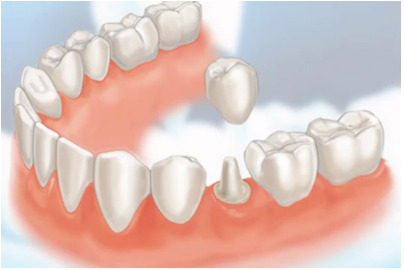 Alternatively, if a significant portion of your tooth is missing, the dentist will fill it with a composite resin to build up support for the crown. Next, your dentist will take an impression of the reshaped tooth or teeth to be restored as well as the teeth below it (to ensure the crown won’t affect your bite or add stress to the other teeth). This impression is sent off to a lab so they can make your replacement crown. Once the impression is complete, a temporary crown (typically made of acrylic and affixed with temporary cement paste) is placed and you’ll be sent home to await the production of the crown. 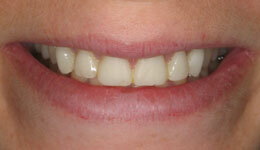 On your second visit (2-3 weeks later), the temporary crown is removed. If the permanent crown appears to be in good shape, fits well, and matches the color of surrounding teeth, your dentist will then use a local anesthetic and permanently cement the crown in place, ensuring a relatively painless dental experience while restoring your smile. Although permanent dental crowns do not require any special care instructions, it is important to continue with good oral hygiene practices to ensure that further decay and gum disease don’t occur. Brushing twice a day and flossing once a day, paying special attention to where the crown meets the gums, and rinsing with antibacterial mouthwash will help extend the life of your crown. 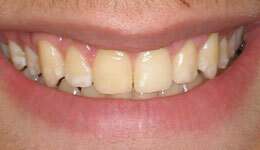 If you’re suffering from a decaying, cracked, broken, or missing tooth, don’t wait to schedule your first appointment. Request a free consultation where we’ll discuss your problem teeth, potential treatment plans, dental crown cost, and health insurances we accept. There’s no better time than the present to get you on your way to restoring that beautiful smile! Call our midtown cosmetic dentist office at (212) 581-1091 or book your appointment online today.